We've always been advocates (daresay champions) of fandoms long after their anticipated "chapter" has closed. Were that not the case, none of us would still carry the torch for Firefly, Cowboy Bebop, or any of the hundreds of properties that have reached natural (or unnatural) ends, yet their fandoms thrive in memoriam. 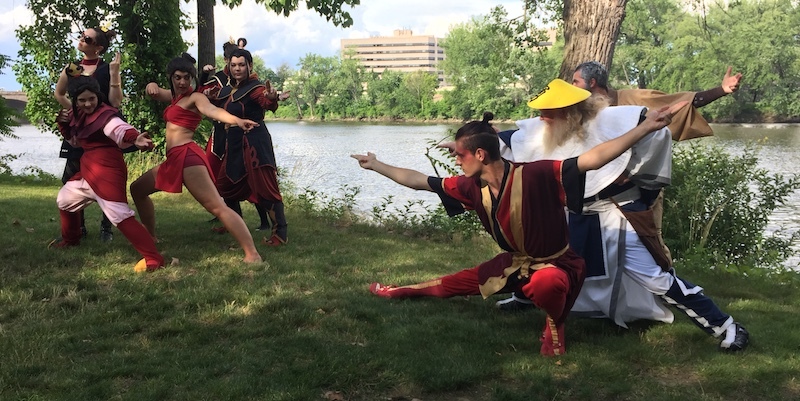 So when we attend fan-based conventions with regularity, like the Hartford, Connecticut-based ConnectiCon held in the summer of every year, we know that the public will remind us -- in all its cosplayed glory -- where their passions remain. 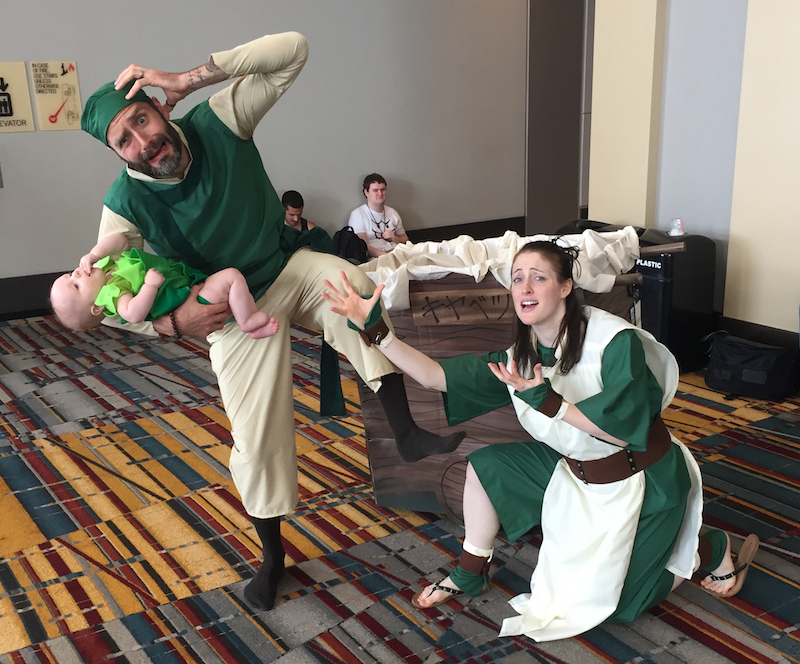 Being the 'full immersion' sort of attendees that we are, we reveled in the three-day excursion in participatory cosplay, on a family scale (because honestly, why else do we have kids, but as accessories?). Enter: The Cabbage Vendors of the Earth Kingdom, from "Avatar: The Last Airbender". 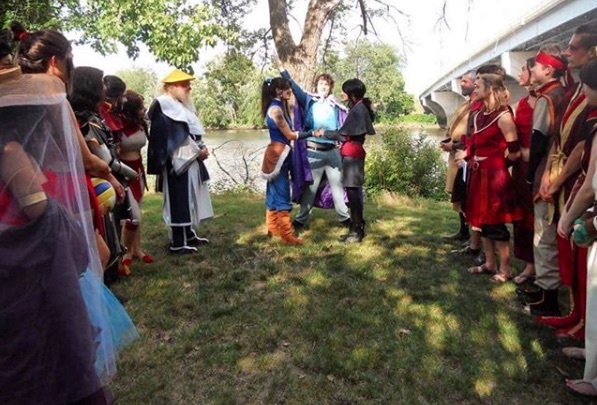 Within minutes of check-in, as we began to interview and interact with other con-goers, we were approached by two rather large groups, one expected, and one quite unexpected. The first group was a regular and ongoing approach of attendees asking politely for photographs of the cosplay we represented. This is something worth noting, because it is indicative of the attention to some of the con etiquette policies that ConnectiCon and others have made very clear, and very public in their brochures, signage, and explanation from the first acquisition of badges at the registration tables. All attendees are reminded regularly that con space is a safe space, and that includes respectful requests to take any photography of attendees, even in such instances where others are already taking photographs. It is a sign of respect and civility that is greatly appreciated, something to which we personally can attest. 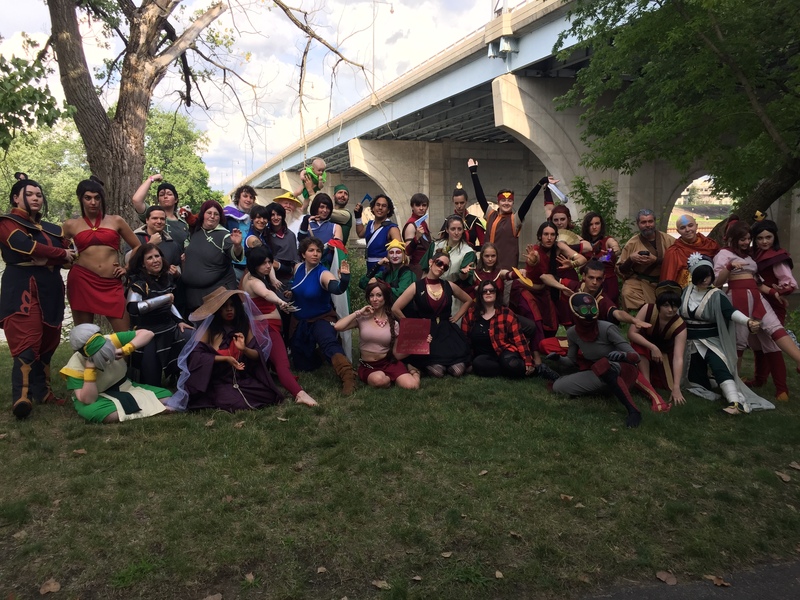 The second group, the unexpected one, was a steady stream of cosplayers from the "Avatar" and related "Legend of Korra" fandoms, all of whom expressed their joy is seeing other related display, but insisted that we join them for a group photoshoot out on the banks of the Connecticut River later that day. By the time the sixth or seventh throng of these passionate cosplayers crossed our paths, we realized there was something exceptional going on. The photoshoot was a great success, as representatives of characters young and old, titular and (like us) rather obscure, screen-accurate and wildly interpretive, all gathered for nearly an hour taking photos in different poses and groupings. We made friends, planned to see people at future events (including the next year's convention), and exchanged social media contacts to stay in touch. Through it all, the feeling of comradery and mutual love for programs that had been off the air for years was pervasive, and by the time the day ended -- and note that this was just the first day of a three-day event -- our cheeks hurt from the smiles. We've extolled the virtues of fan conventions far and wide on IDO, and will continue to so as long as they remain. What this one moment reminded us, however, is that in addition to the discussion panels, the Q&A sessions with screen and print celebrities, the myriad assortment of vendors, and even the dizzying array of cosplay, there is a celebration of fandom itself that is tangible. You can attend a convention like this with hopes to see or hear something related to a universe you hold dear, but may come away with a new understanding of and appreciation for something wholly new, simply because you witnessed a group of others nearly levitating with happiness over connecting with kindred appreciators. It is positive. It is infectious. It is transformative. It is wonderful. 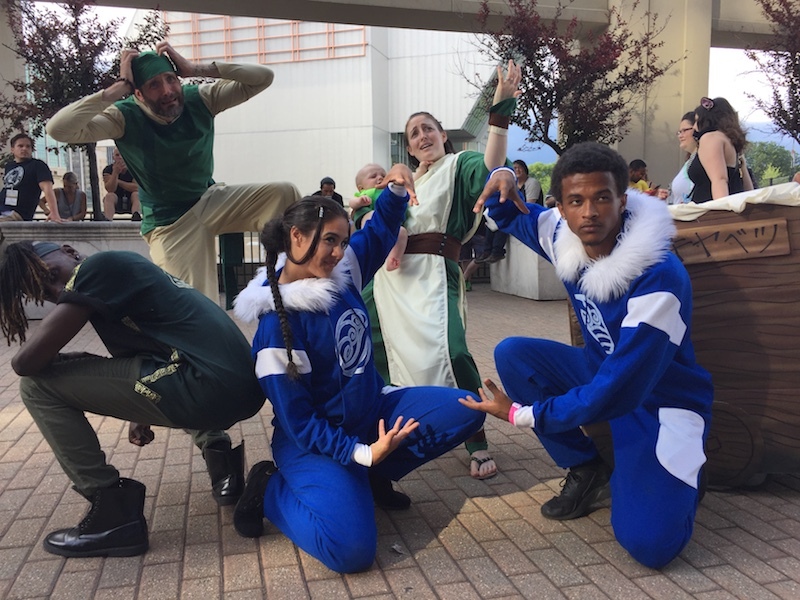 Immense thanks to the ConnectiCon staff and coordinators for their efforts and organization, and love to the ATLAB/LOK cosplay tribe for being their passionate, incredible selves. Yip yip!